Have you got injured in an accident in Florida with Doordash driver involved? Then you need to talk to a Florida personal injury attorney as soon as possible. You may know that there are folks who try to recover for damages on their own, but that’s never an easy task. When it comes to recovering compensation from Doordash, things may get more complicated due to the tricky insurance coverage for drivers serving the company’s clients. During these consultations, you can ask anything you want to know related to your case. We will answer all your questions and make it clear whether you are entitled to compensation, how much your case is worth, and about what you can expect in the future. 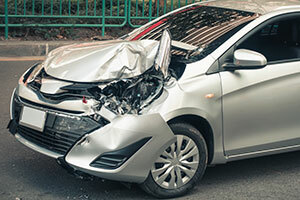 Our Florida car accident lawyers won't ask for fees unless we recover damages for you. Insurance coverage of app-based businesses has been a controversial issue since the introduction of these companies. Uber and Lyft were the first to break the ice in Florida. They created a lot of tension, which ultimately led to law changes that allowed them to operate in the Sunshine State. Part of those changes was the duty to get ridesharing insurance for the drivers, but only for those who drive passengers. Doordash delivers food; hence they are not obliged to provide the insurance. Nevertheless, they do provide an excess auto insurance for their drivers, but only for damages caused to third parties and only at the time of delivery. That means that if a Doordash driver gets injured during delivery, he or she is not likely covered by this insurance policy. These insurance policies can be complicated. That’s why you should make sure you talk to a Florida personal injury lawyer to help you determine whether you are entitled to damages and how to get it. It seems that no insurance company will run to you with compensation. You’ll have to do the work to get compensated for your harms and losses. We don’t ask for fees unless we recover damages for our clients. Don’t hesitate to call our Florida delivery driver accident attorneys for the answers that you need following your car accident involving a Doordash vehicle. Our Florida personal injury attorneys offer full legal representation to the towns, cities and communities of Naples, Miami, Fort Myers, Fort Lauderdale, Orlando, Tampa, Sarasota, Lehigh Acres, Cape Coral, West Palm Beach, Jacksonville, Gainesville and the Florida Keys.